This big water fun boat series is rigged for full days out in a wide range of conditions. A smooth, dry and stable ride is guarantee thanks to the extended-depth Modified Dihedral V-hull. 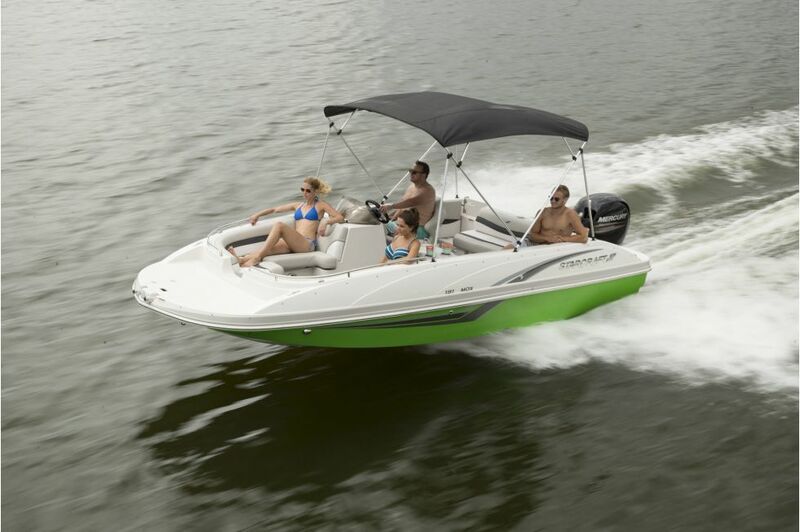 Navigate fresh and saltwater terrain with exciting options like a wake tower, board racks, tower speakers and a satellite radio for extreme wake action. In the MDX 191 E OB deckboat by Starcraft, there’s something for everyone — whether you love cruising, watersports or simply hanging out at the sand bar. This is a great deckboat at a great value.